From the Ponder Couch: 3 More Bumpers and a couple of Guitprov Songs! 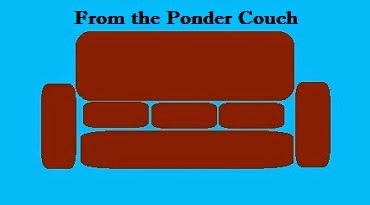 I made 3 more Ponder Couch, Nickelodeon-style Bumpers! They all use the same video footage, but have different soundtracks! I also made 2 new Guitprov songs! From the youtube: I love the band Bracket (http://bracket.bandcamp.com) and they have been writing Warren's Songs for years. They just released what I think might be the "last" Warren's Song which is part 28. I think that's a shame. So I wrote a part 37 in the hopes that they'll fill in the songs inbetween. From more, other youtubes: "On the Road: By Jack Kero 'Wiggity' uac" is a stream-of-conscience song. I just played whatever my brain and fingers decided to do together. I didn't give it any forethought except that I planned on playing for at least 10 minutes. Full disclosure: I've never read "On the Road". Should I? Does my stream-of-conscience, out of tune banging and strumming go with Jack's stream-of-conscience words? Somebody please try to read or sing a section of the book over this "song". I would love to see that. Seriously. Someone please read or sing some Kerouac over that mess of a 15 minute song!